Spectrum Eyewear Gallery is pleased to offer a wide range of optometric services, eye care products including eyeglasses, specialty eyewear, frames, and contact lenses. Our staff is happy to help however we can. For over a decade, Dr. David Britzke has been providing quality eye care to the Michiana community. 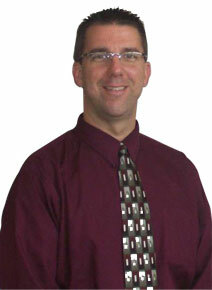 Dr. Britzke received his undergraduate degree from Marian University in 1996. He then studied Medical Neurobiology at Indiana University School of Medicine and received his Doctor of Optometry in 2002 from Indiana University School of Optometry. He is a member of the American Optometric Association, Indiana Optometric Association, and the Lions Club, a charitable organization committed to quality eye care and good vision for all. Dr. Britzke resides in Elkhart with his wife, Ann, and two children.